Because now we really can remember last words. I started FinalTweet.tumblr.com on the day of the Dark Knight Massacre in Aurora, Colorado, after seeing the last tweets of some of the victims being retweeted everywhere. 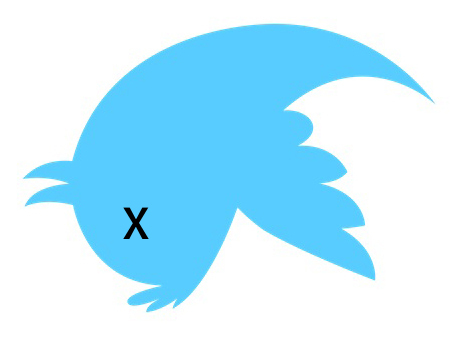 I decided it might be interesting to just keep a running archive of the final tweets of the recently deceased. There is no humorous element to this blog, except perhaps in some cases within the tweets themselves. I now follow the keyword RIP on Twitter so I can immediately know when someone even remotely notable dies. Today, (07/24/12), I actually scooped every major news outlet except Reuters on the death of John Atta Mills, president of Ghana. I saw the first tweets about it. When I googled to see who “Atta” was, only one news source, 9 minutes old, had reported on his death. I found his Twitter and took a screengrab of his final tweet, and it is the most moving final tweet yet. I enjoy this project and I intend to keep it going for as long as possible.